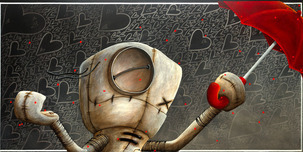 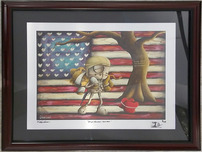 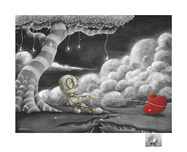 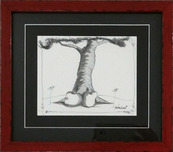 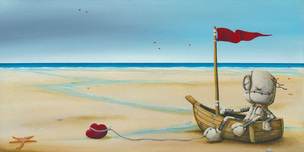 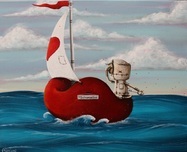 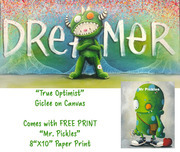 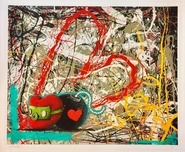 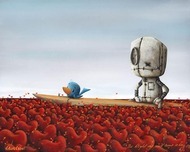 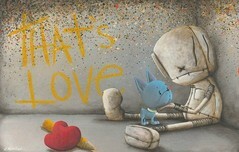 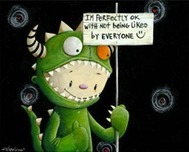 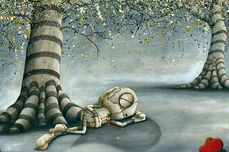 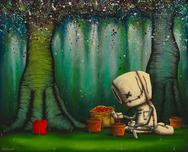 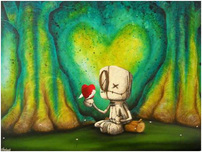 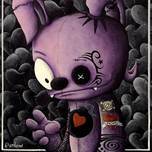 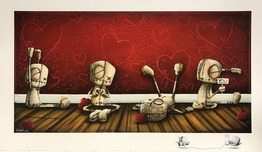 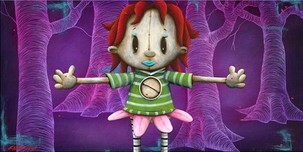 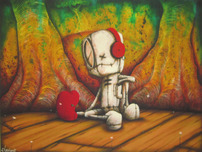 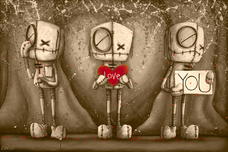 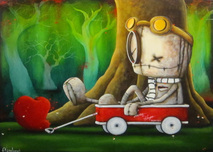 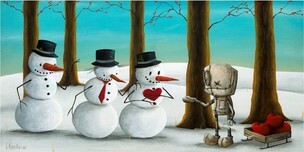 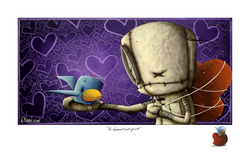 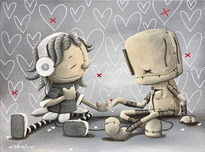 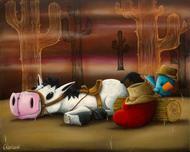 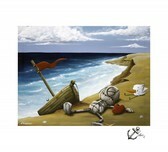 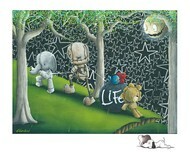 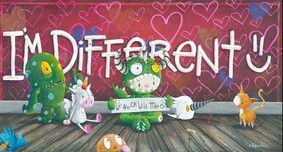 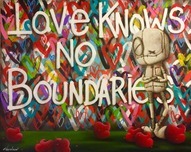 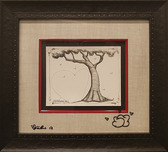 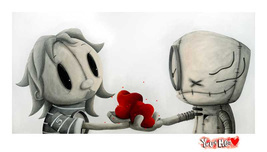 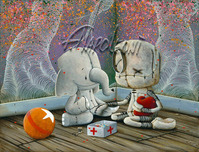 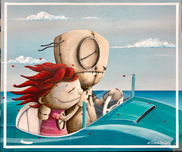 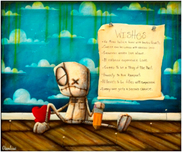 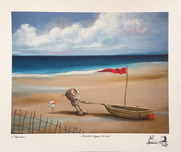 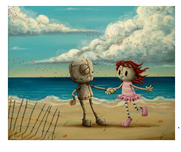 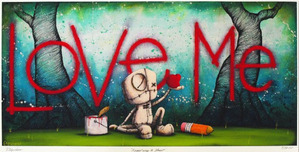 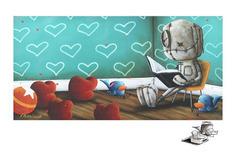 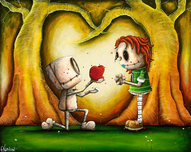 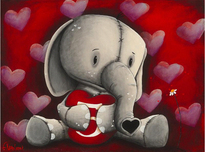 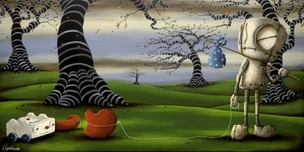 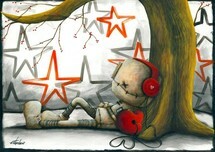 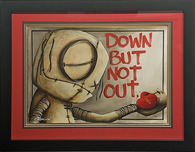 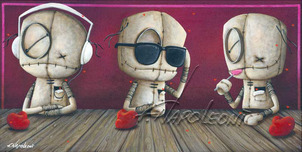 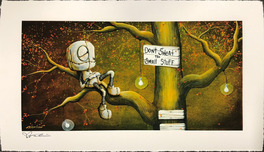 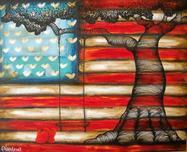 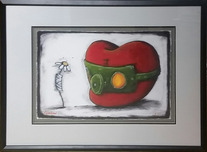 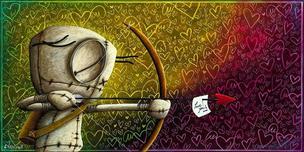 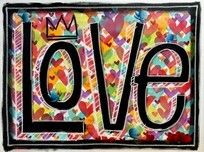 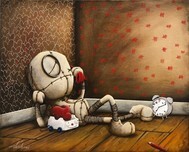 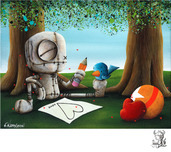 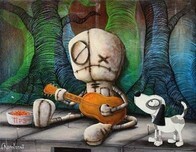 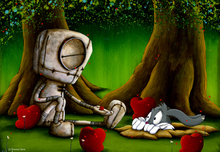 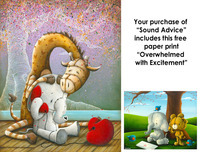 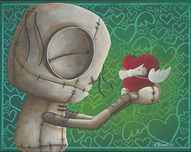 What the Heart wants and the Heart needs can be found in a Fabio Napoleoni painting. 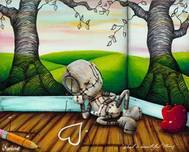 Nostalgia, sorrow and moments that lift the soul are all there for the world to see and experience along with him. 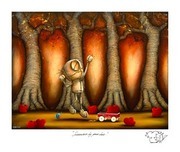 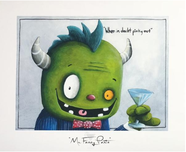 The vivid colors and captivating characters invite you into an emotional ride that is welcomed by the mind and the Heart all created by Fabio Napoleoni. 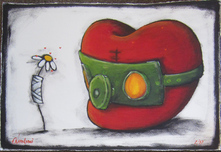 Many events influenced Fabios artwork but none more than the traumatic events that followed the birth of his second child. 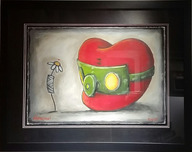 His daughter, born with major heart abnormalities, had to face several surgeries to correct issues that could prevent her from having a future. 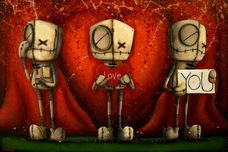 Overwhelmed with his daughters issues and surrounded by an emotional sea of sorrow from other parents in the same situation, Fabio grew. 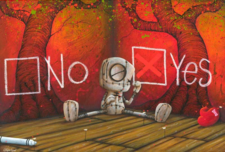 While his wife and daughter slept, Fabio wondered the halls of the Childrens Care Unit looking for a spot where he could sketch out his personal thoughts. 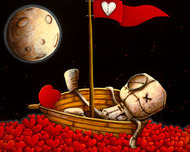 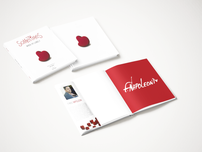 The doors to Fabio Napoleonis Heart were now opened for the world to experience. 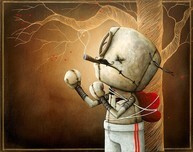 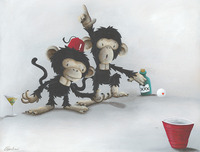 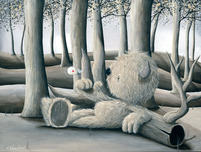 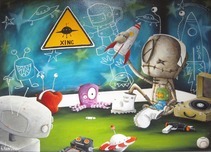 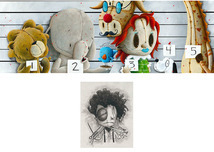 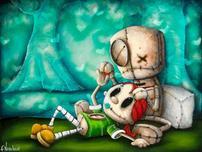 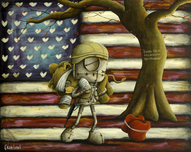 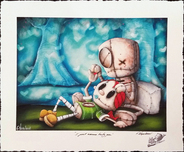 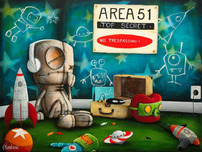 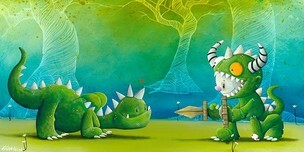 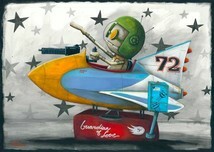 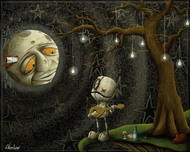 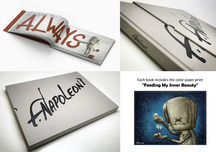 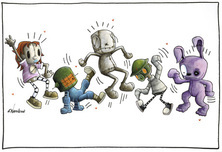 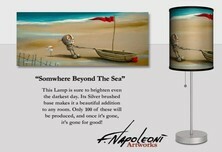 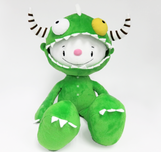 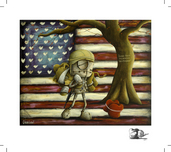 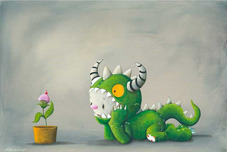 It took a traumatic experience for Fabio Napoleoni to realize what he was missing in his work . 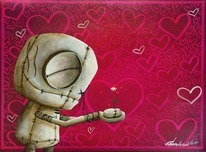 . . Emotion. 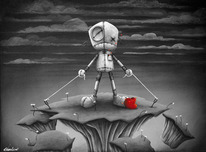 He had all the ingredients to create but none that captivated the soul. 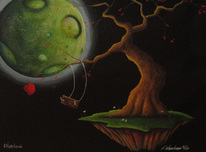 With his new ideas and old sketches in hand Fabio added the last ingredient needed. 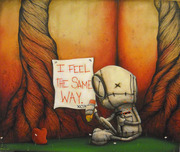 Emotional Experience. 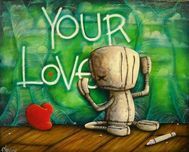 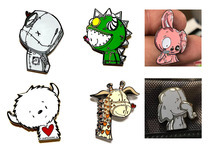 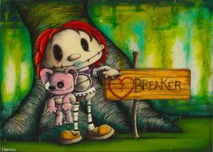 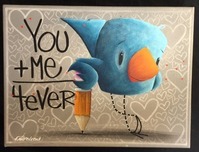 With his vibrant and bold use of colors along with many of his characters, Fabio Napoleoni has managed to create an emotional value to art that has been missing. 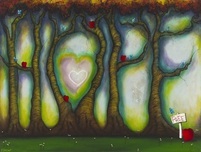 His paintings could have a thousand titles and every one would be fitting of the image he has created; but one thing is for sure, you will always find a beautiful Heart in every piece of his work. 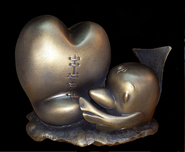 A symbol of his love for his daughter, she lives today and will forever in his work.